Updated Friday July 7, 2017 by Soccer. Must be registered as a CBAA or BUSC player, and be in good standing with CBAA. Members must reapply for acceptance each year. The program is over one year, comprised of three seasons - Fall, Winter and Spring. Who will they be working with? 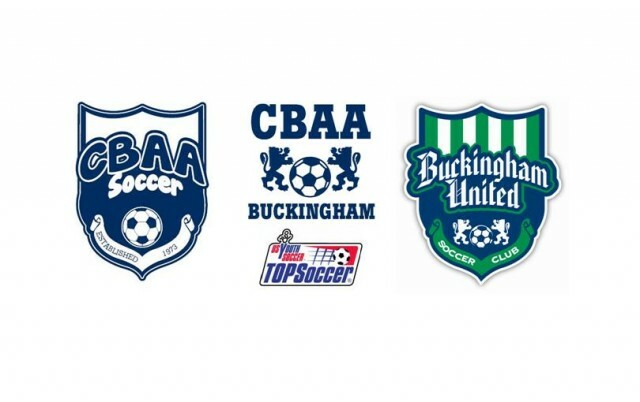 CBAA Intramural teams U05-U12, BUSC teams U09 through U12, TOPSoccer Program, Summer Camps and Clinics. In general, players will be expected to help parent volunteers with the demonstration of technique, inspiration and education of CBAA's younger player and serving as a positive role model, and helping to provide an overall positive experience for the younger CBAA players. Please note that we are limiting our number of candidates as we kick off this initiative. -12 hours on-field in the Spring with professional coach with a BUSC/CBAA team. What do the volunteers receive? Mentoring from a professional coach, as well as the parent coach of the team. Volunteers learn responsibility, organization, and how to work with and teach kids. A certificate, recognizing their participation and completion of a community sanctioned program.